MANILA, Philippines – These days, we hear a lot of heartbreaking stories about couples breaking up due to a third party. Sadly, social media and mobile phones seem to have made it easier for people to cheat on their partners. 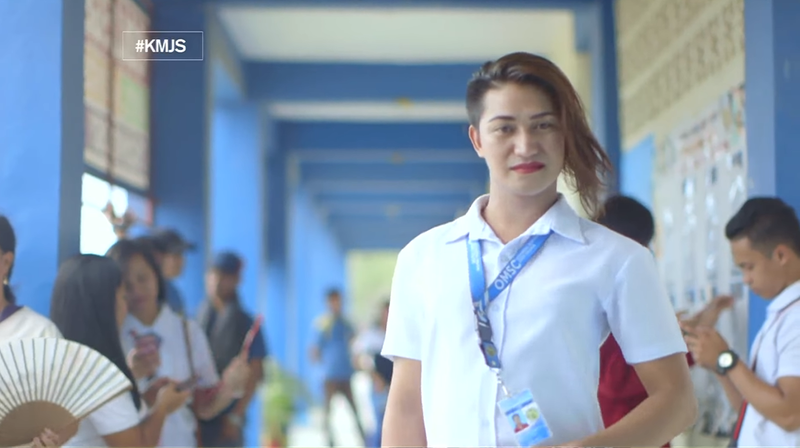 But one girl found out something that was both insulting and heartbreaking: her boyfriend was seeing a ‘beki’ (gay) lover behind her back! Surprisingly, though, she would actually end up together with her boyfriend’s gay lover. Sounds crazy, right? It was back in 2015 when Angelica Mabuhay met Justin at their hometown in San Jose, Occidental Mindoro. They started texting and soon fell in love. According to Angelica, she really loved Justin and the guy seemed equally enamored with her. He was sweet at the beginning but just a month or so later, he seemed to be pushing her away. She would often see him smiling while chatting with someone on the phone. Sometime later, someone tagged Justin in an “In a relationship” status. 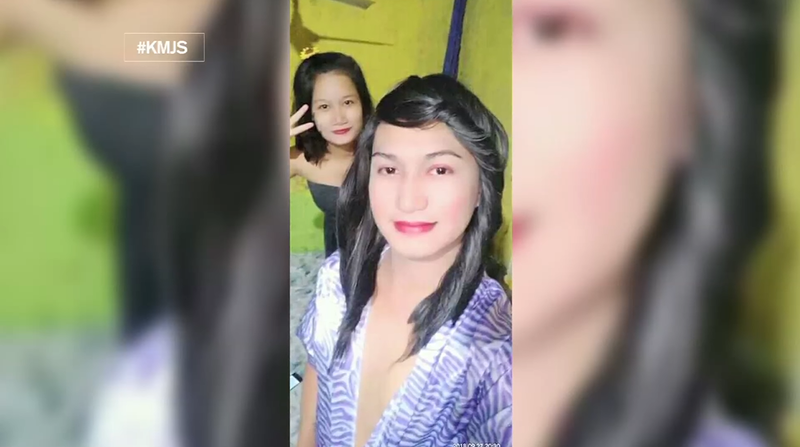 This shocked Angelica who immediately stalked the other girl’s profile – but she was surprised to discover the girl wasn’t a girl at all but a gay! Meanwhile, Jeffrey Urieta had no idea that his new boyfriend, Justin, actually had a girlfriend. He even asked permission for the “In a relationship” status and Justin agreed. Thus, he was shocked when Angelica messaged him, telling him she’s Justin’s girlfriend. One would expect that the two would fight in the text messages, but the exchange led to an unusual friendship between the two. When Justin chose Jeffrey over Angelica, she was surprisingly not at hurt as she thought she would be. But the craziest thing happened when Justin also broke up with Jeffrey. The ‘magkaribal’ found a stronger friendship as they talked about their mutual ex-boyfriend. Soon, Angelica realized she was falling in love with Jeffrey – and she would begin pursuing him. Using her savings, she bought Php1,000 worth of ‘labahita’ for Jeffrey as gift when they first met. It was then that he realized this girl was really in love with him. Jeffrey agreed to their relationship; though he told her it was unfair for her as he really wasn’t in love with her and still preferred boys. Then, Justin entered the picture again; he and Jeffrey got back together. Angry at the betrayal, Angelica made her beki boyfriend choose who he truly wants; surprisingly, though he still loves Justin, he chose Angelica. A girl at heart, Jeffrey admits it was awkward to make love with Angelica but he eventually learned to love her, especially now that they have a child together. Society frowns at them as they walk, both in a dress, but this does not matter to Angelica who is deeply in love with Jeffrey. As for this gay, he continues to dress like a woman but has accepted responsibility over his family. He still remains gay at heart but he provides for his family and makes sure to help take care of their baby.